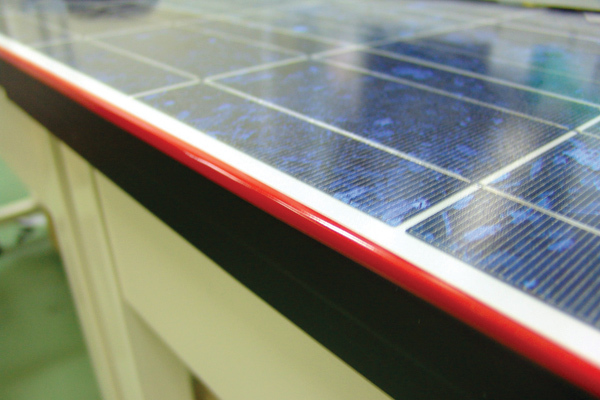 In solar panels production, a long strip of double-sided tape is applied to the edges of a glass panel for framing. 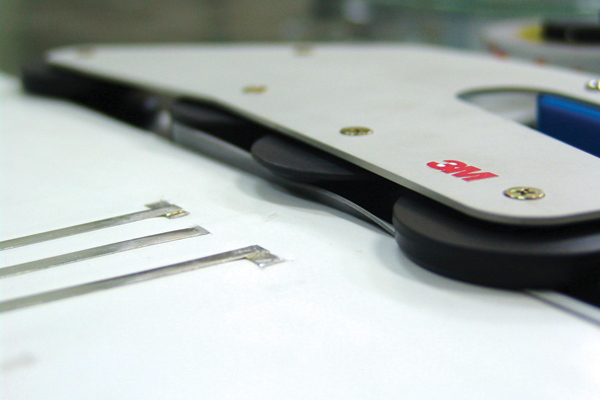 The manual process was time-consuming, and seriously decreasing the efficiency. 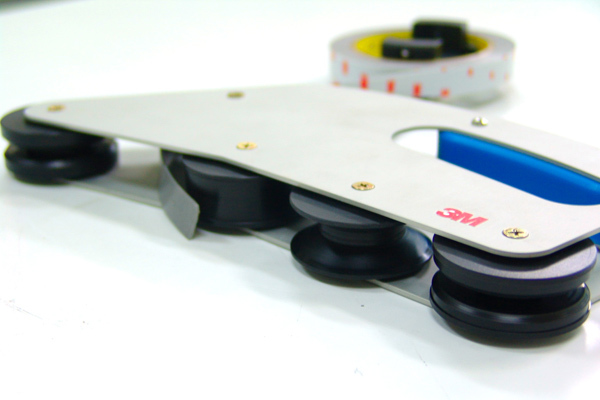 I designed a tape applicator to eliminate the bottleneck and raise the productivity. 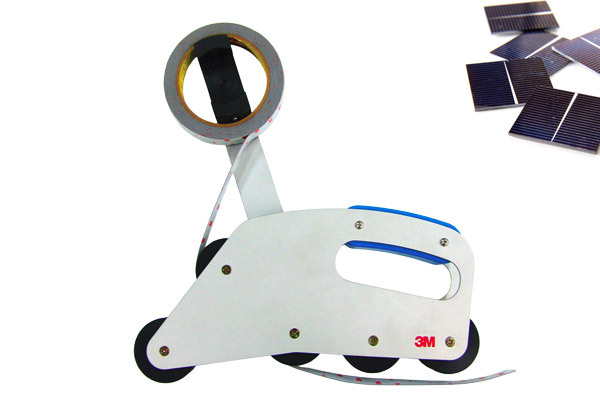 Made of ultra light aluminum and equipped with grooved wheels, it empowers the workers to finish perfect taping even with a hand, and has improved overall efficiency up to 40 times. 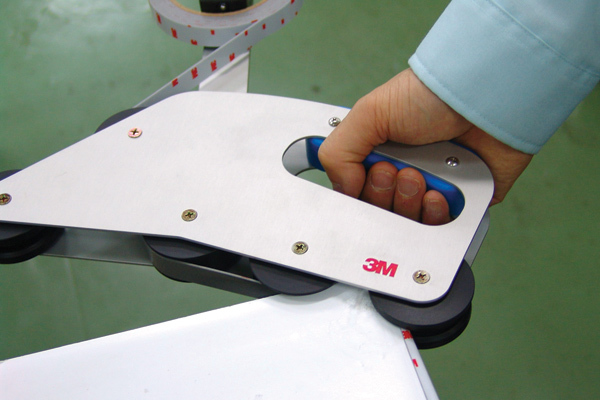 The tape applicator is now a standard manufacturing tool of the solar panel industry.